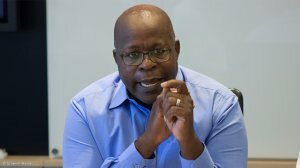 Platinum miner Lonmin on Friday released its unaudited first-quarter production results for the three months ended December 31, 2018, stating that its relatively poor operational performance had been partially redeemed by its improved liquidity. The company noted that the first quarter is historically the period with the lowest production in its production cycle, owing to the December holiday season and the impact of stocktaking. However, its performance in this fiscal first quarter was further impacted on by a fatality on December 5, as well as a fatality which occurred at the end of the fourth quarter of the 2018 financial year, with the associated Section 54 stoppages at the K3 and Rowland shafts resulting in a production loss of 95 000 t.
As a result, Lonmin’s mining production amounted to 2.2-million tonnes, down 166 000 t, or 7%, year-on-year. Lonmin CEO Ben Magara lamented the loss of his colleagues and extended condolences to their families. Hossy is now expected to go on care and maintenance at the end of 2019, rather than 2018 as previously expected. E1 shaft and W1 shaft are currently scheduled for closure by the end of the financial year. Meanwhile, refined platinum production of 144 651 oz was 10.4% lower year-on-year as a result of reduced tonnages, as well as lower grades and recoveries. Platinum and platinum group metals (PGMs) sales were 4.6% and 12.7% lower year-on-year, respectively. The dollar basket price of $1 076/oz was up 11.2% year-on-year, while the corresponding rand basket price of R15 389/oz increased by 17%, as the average rand/dollar exchange rate was 5% weaker compared with the first quarter of the 2018 financial year. Magara stated that total cost of production had increased by 6.4%, from R3.7-billion to R3.9-billion, in line with Lonmin’s overall cost containment, “notwithstanding wage increases in excess of 7% having been granted in July 2018”. Unit costs were R14 795 per PGM ounce – an increase of 16.5% year-on-year – primarily owing to the safety stoppages, lower production, grade and recoveries in the quarter. Magara noted that Lonmin’s improved liquidity was the result of the PIM refinancing, the rand basket price revenue increase, and the proceeds from the disposal of the Wallbridge and Petrozim assets partially offsetting the increase in first-quarter working capital requirements. Gross cash at December 31, was $230-million, compared with $215-million at December 31, 2017 and $264-million at September 30, 2018. At December 31, 2018, the balance due on the forward metal sale facility was $190-million. Magara said he was encouraged by the increase in the PGMs basket price driven by palladium and rhodium. Going forward into the second quarter, the Lonmin team continues to focus on safe mining production. “We are therefore maintaining our sales, costs and capex guidance for 2019,” he said. Magara added that the challenges of the first quarter and the volatility of the exchange rate underscored the vulnerability of Lonmin’s business and the importance of a sustainable solution for the company. Lonmin stated that the platinum market “remains under pressure” but added that the basket price is supported by the significant demand for palladium and rhodium, with the automotive industry preparing for the tighter controls associated with emissions regulations. Sales guidance for the full-year is maintained at between 640 000 oz and 670 000 oz of platinum. Capital expenditure guidance for the year is between R1.4-billion and R1.5-billion.